McWilliams was born in the Cregagh area of Belfast and moved to Ballymena at the age of three. He began playing guitar and writing songs in his early teens. After leaving Ballymena Technical College in 1963, he started an apprenticeship at the Shorts missile factory in Antrim, and also started a local dance band, the Coral Showband. He was a well-respected football player, and had a trial with Linfield as a goalkeeper. 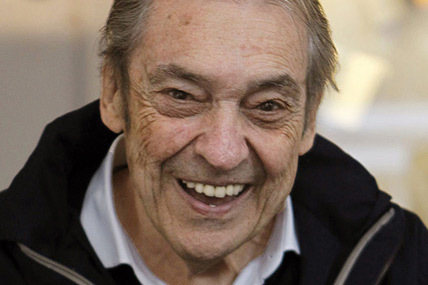 He recorded a demo of some of his own songs, which was heard by music industry entrepreneur Phil Solomon, who had previously managed The Bachelors and Van Morrison's band Them and also had close business ties with Ronan O'Rahilly's pirate radio station Radio Caroline. Solomon convinced close friend and well established songwriter Dominic Behan to take McWilliams under his wing to the point that McWilliams moved into the Behan family home in West London, an environment within which he was able to focus on songwriting; the impact of Behan's influence is difficult to determine but it can be seen that McWilliams' live performances became much more self-assured, a key to future success. Following a period of 5 months in Behan's household, Solomon was able to negotiate a contract with CBS Records, which released his first unsuccessful single "God and My Country" in 1966, before signing McWilliams to his own new Major Minor label. McWilliams and Behan were to remain extremely close friends until the death of Dominic Behan in 1989. McWilliams' first album, David McWilliams Singing Songs by David McWilliams, was produced and arranged by Mike Leander, and reached number 38 on the UK album chart. He quickly recorded a second album, David McWilliams, which reached number 23 in the album chart and featured the single "Days of Pearly Spencer". This was a song about a homeless man McWilliams had encountered in Ballymena, and featured a sweeping orchestral arrangement by Leander and a chorus sung as if through a megaphone. This low-tech effect was actually achieved by recording the vocals from a phone box near the studio. Massive exposure on Radio Caroline and through advertisements in the UK music press in the summer of 1967 helped generate interest and sales in continental Europe, and the record topped the charts in numerous countries including France and the Netherlands, selling a million copies worldwide. However, although it became well known in the UK, "Days of Pearly Spencer" failed to make the charts there, perhaps because the BBC refused to play it owing to Solomon's links with pirate radio, and through mismanagement McWilliams never profited from the song's success. In Italy, the song was covered in 1968 by Caterina Caselli as "Il Volto Della Vita". 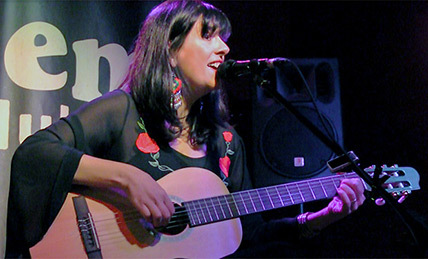 A Spanish version called "Vuelo blanco de gaviota" was recorded in 1979 by Ana Belén. Successful later versions of the song included a disco version which reached number 1 in Belgium in the 1980s, and a cover version in 1988 by the French psychedelic band The Vietnam Veterans and their album The Days of Pearly Spencer. A recording by Marc Almond, with an additional verse written by Almond giving the song a more optimistic tone, reached number 4 in the UK charts in 1992, and also made number 8 in Ireland. McWilliams released another album, David McWilliams III, and several further singles for Major Minor, and toured widely in Europe, on some occasions with The Dubliners and the Kerries. His 1968 song, "Can I Get There By Candlelight?" was used for the theme of a Dutch radio programme, Candlelight with Jan van Veen. He became very popular in Germany and Italy, as well as in France and the Netherlands, and re-recorded some songs in Italian. Reportedly, David Bowie once named McWilliams as his favourite songwriter. An album, Days of Pearly Spencer, comprising tracks from his three albums, was issued by Kapp Records in the US in 1968. He moved to London, and released further albums and singles on the Parlophone and Dawn labels in the 1970s, but these were unsuccessful. McWilliams moved back to Northern Ireland in 1978. He performed infrequently after that, mostly in local bars, although he also headlined a concert in aid of striking miners in 1984 and occasionally appeared at the Ballycastle Northern Lights Festival. A compilation album, The Days of David McWilliams, was issued by RPM Records in 2001. On 8 January 2002, McWilliams died suddenly of a heart attack at his home in Ballycastle, County Antrim, at the age of 56. He was married twice and had eight children. 1968 "Marlena"/"How Can I Be Free?" "This Side of Heaven"/"Mr Satisfied" "Who Killed Ezra Brymay? "/"Marlena" 1969 "Fiori nel vento"/"Correrai, Correrai" "Oh Mama Are You My Friend"/"I Love Susie In The Summer" "The Stranger"/"Follow Me" "Three O'Clock Flamingo Street"/"What's The Matter With Me" "Un sasso nel cuore"/"Lo Straniero" 1972 "Gold"/"Go On Back To Momma" "Maggie's Coming Home"/"Margie" 1973 "Love Like a Lady" 1974 "You've Only Been a Stranger" 1976 "Can I Get There By Candlelight?" 1977 "By The Lights of Cyrian"/"Toby" "Love Walked In (When You Walked Out Today"/"Don't Need Your Blues" 1979 "Circles"/"Dusty Bluebells" 1981 "Black Velvet"/"Every Time" 1987 "Working for the Government"/"Listen to the Heart" 1994 "Candlelight" (with Vanessa) "Circles"/"Laugh at the Clown" (with Michael Robinson) "Dream Street Rose"